Chicago is a lovely city located on the shores of Lake Michigan in the state of Illinois, USA. It is an amazing place where the wind never seems to stop blowing. There are a number of attractions in the metropolis such as world class museums, professional sports team, top notch neighbourhoods, lakes and several other sites. On the other hand, the weather is usually good and the city is a great place to spend some time. Follow some easy guidelines if you want to spend a weekend in Chicago. First of all, you should search for the major attractions and sites over the internet. You can also ask family members or friends that live in Chicago for this information. The metropolis is famous for its sports teams. You can go to any NBA, NFL, NHL or MLB game as their is always something going on in Chicago. Be aware of Lincoln Park Zoo situated in the north of the city as it is an excellent place to spend the afternoon with friends. In addition, there is no fee to enter the zoo and it is regarded as one of the best in the US. You can always visit the Museum Campus which is located on the south side of Grant Park. The Field Museum is a very famous site for tourists with exhibits consisting of Underground Adventure and Evolving Planet. These sites allow the viewers to get an ant’s eye view of life. You can also visit the Magnificent Mile, which stretches beyond Michigan Avenue and is a good place for people to hang out. Chic retailers are quite common here and you can also find some some top quality hotels. Navy Pier is another place to visit as it has a dozens of shops, eateries, museums, etc. There is also the Ferris wheel which offers a great vista of Lake Michigan and Chi-town. 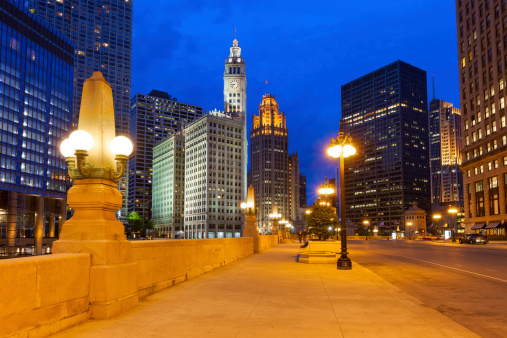 If you are in Chicago, then spend the night in any of the popular neighbourhoods. Know that Old Town has a lot of good nightspots to enjoy. Take your time and explore the city of Chicago to find some interesting places where you can enjoy yourself and possibly make some new friends in the process.